Custom built portable fuel transfer system utilizes decommissioned equipment fuel tanks. Makes for great temporary fueling station or transfer reservoir for field maintenance and fuel scrubbing. Ideal for mine sites, maintenance shop and remote locations. 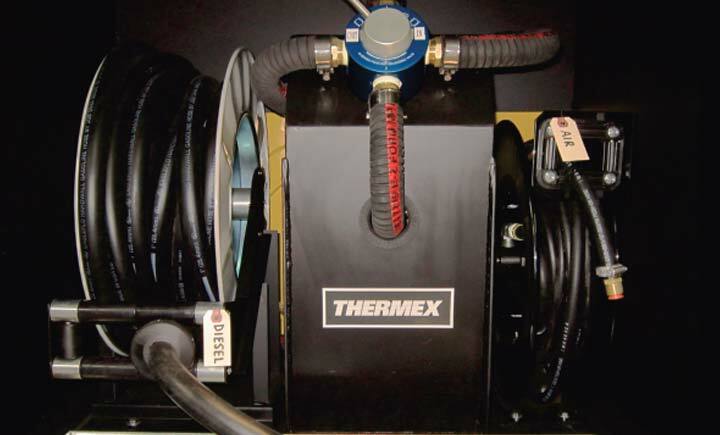 Thermex Fuel Transfer Systems are an excellent resource for maintenance bay use, as diesel fuel can be quickly drained from one fleet unit to another on the fly, or drained for additional maintenance to fuel lines and tanks on heavy equipment fleets. Or even as a quick fuel bay for generators and other compact equipment systems. 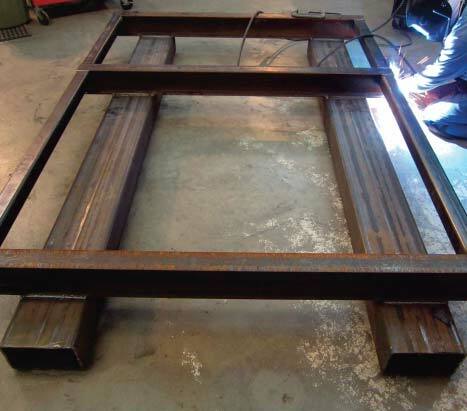 Sturdy cradle construction for the diesel tank, and large forklift pockets for field transport or mount to an optional trailer to be towed around a jobsite. Thermex is helping the environment by upcycling decommissioned fuel tanks. These tanks make for a perfect mobile maintenance refill station on mining sites, and in maintenance bays. Thermex Fuel Transfer Systems can be fitted on a forklift rack system for easy maneuvering around your shop. 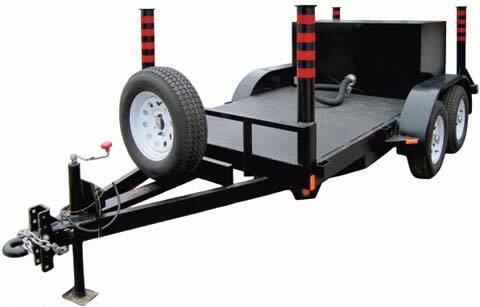 Or mount a fuel transfer tank on an optional trailer system to be towed anywhere on the job site. 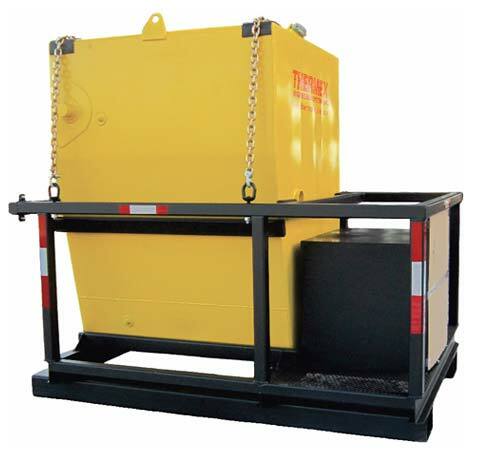 For quick transfers of diesel fuel between fleet units, heavy equipment, generators, or field maintenance these modular diesel fuel transfer systems are an absolute asset. Double diaphragm pump with aluminum body rated 48 GMP @ 100PSI. Features a 1″ Four-way reversing valve. This greatly simplifies plumbing and installation by eliminating the need for multiple valves.